oktober | 2015 | From a teacher's point of view, some is old and some is new! To dare to trust a friend is amazingly rewarding when I notice that it ”works”. I once trusted a friend in a rather special way. I wrote a very important letter to myself. I needed to write the letter because I needed to write down the thoughts I had at that time, in order to understand myself. I first thought of keeping the letter somewhere at home, but I tend to be like a squirrel… I hide my things in very smart places and then I forget where I put them… Since I know myself, I instead asked a friend I trust, to keep the letter for me. I needed the friend to keep the letter for years, because the content of it was of a kind that I needed to forget in order to forgive. It took me eight years to get over the content of the letter and all those years, my friend kept my letter for me. When I asked for the letter, the friend found it for me and gave it back, without any comment or questions. Such friends are rare and I know it. I would without no doubt to the same for that friend. But how do one find new friends? I think friends aren’t possible to ”find”. I know that sounds SO weird, but having said that I will also explain what I mean. I think friends can be friends although you met them yesterday. Friends just ”happen”. You hit it off with some and with some you just feel awkward and want to be alone. I heard somewhere that ”you never feel as lonely as when you are two together with the wrong person”. Being friends with someone is not possible to plan for , I think. Being friendly is possible and being nice is possible, too, but to really get the feeling of being friends with someone takes more. I think of the way I can call a dear friend when one year has passed since last time we talked. It is never a problem that a year has passed, if the person I call is a true friend. We just pick it up where we left our last conversation and we reconnect again, no problem. When I just recently got to know a new friend, I could tell almost right away that it would be the kind of friend that I will keep forever. Sharing stories, sharing viewpoints and noting that there are many things that we have in common is one part of it, but just as important is the I can do everything for you!-attitude that one can feel after just a while in the company of a real friend. When a friend ask me for a favour I don’t have a problem at all thinking I can do everything for you! For a couple of weeks I have had the opportunity to experience a very mild and nice autumn here in Pitman, NJ. One of the days we had +28C which is not at all like the temperature for October in Sweden. In my 71st åsic(#Sjuttioförsta åseriet), I wrote about the maples in Sweden and how I used to collect the colourful leaves in the autumn. I have always loved trees and since I live in a part of Sweden where forests are a part of the nice scenery, I always find a walk in the forest very soothing if I need to relax or find new energy. 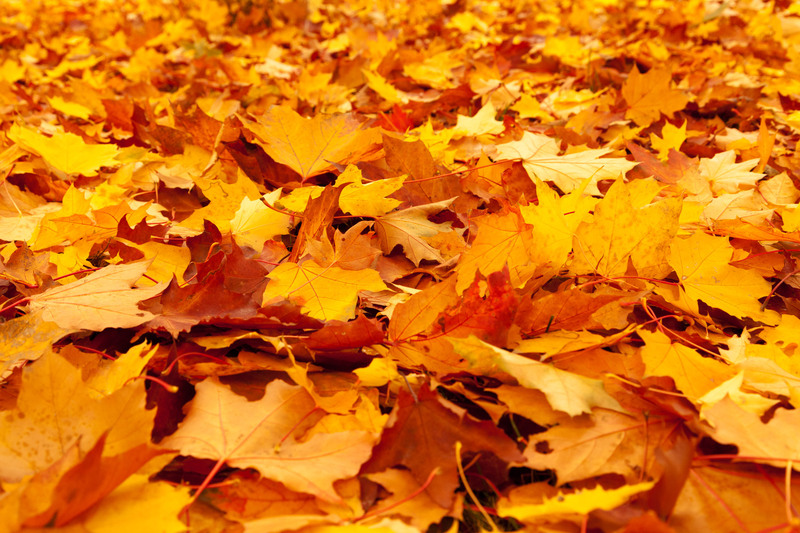 I have walked along nice streets here in Pitman, where mainly tall maples and oaks give gardens their share of fallen leaves. 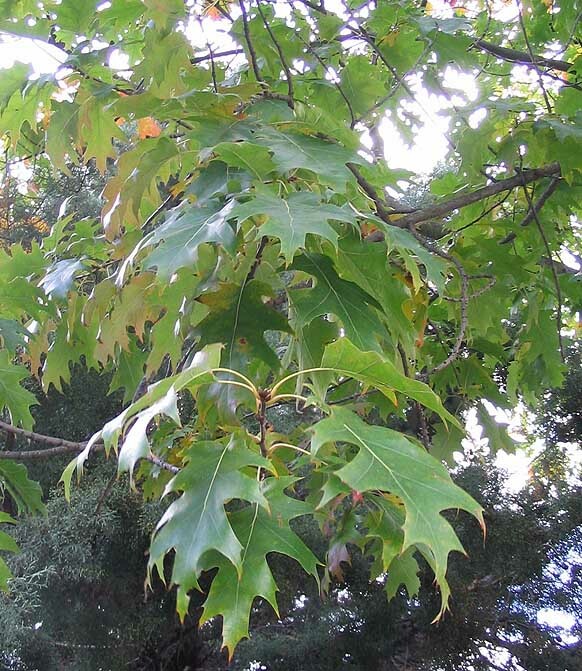 One kind of the tree was unfamiliar to me, but I could tell from what it looked like that it had to be a maple or an oak, so I picked up a leaf and brought it with me to #Pitman Middle School, where I asked everyone I met: ”Is this a maple or an oak?”. Most people said: ”I don’t know but I think it is…” and then two people very quickly said: ”It’s an oak, no doubt!” Now I KNOW it is an oak, since I have done what most people do nowadays… I googled it… It turned out to be a red oak. The eightyninth åsic- From Påskkärring to Tomten in Twenty Minutes! I have had another interesting day in Pitman Middle School filled with interaction with students and teachers. Today’s topic was a bit different from the other days, since one of the students wanted to know how we celebrated Halloween. I quickly commented on that, but then I shared photos of the tradition from Easter Thursday which is more like the American ”trick or treat” than anything else in our tradition. 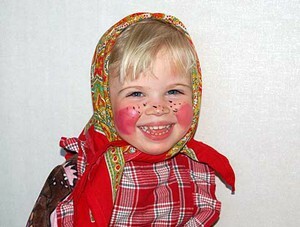 Kids dress out as witches, but not EVIL witches. They are supposed to be more CUTE than evil or ugly. A påskkärring is supposed to be a witch soon going off to ”Blåkulla” on her broomstick. The idea for the kids is to draw or write nice cards saying ”Happy Easter” and then walk from door to door with these greetings. If they are lucky people give them a little treat in return, but there is NO tricking…just the treat… They will keep the collected treats either in an old coffeepot or in a basket. I then got the question whether there were any other Holidays I would like to mention. I picked Midsummer, since that may be interesting if you haven’t experienced it. First of all, Midsummer is a fantastic time of the year anywhere in Sweden, thanks to the Nordic light, but in the Northern part of Sweden the sun doesn’t set at all for a couple of days, which gives your summer’s night a magic touch. 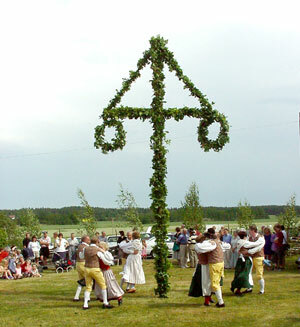 Midsummer can be celebrated in many ways, but traditionally we would gather to raise a maypole covered with leaves and flowers and then dance round the maypole, both old and young. One of the most popular song has very easy lyrics and we all sang it as kids. It is called ”Små grodorna” which means ”The little frogs”. It is said about Midsummer that you dream of your spouse to be if you gather seven flowers and jump over seven fences. But you have to be quiet if you don’t want to break the spell! You pick the flowers, put them under your pillow and in your dream you will meet the very person who will be your husband or wife. 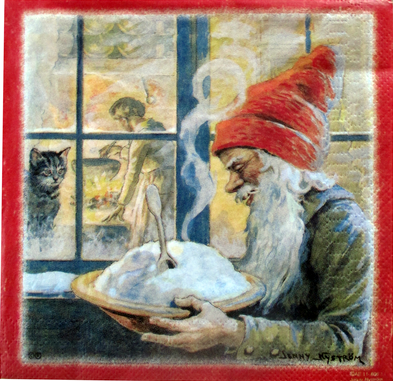 Suddenly someone wanted to know whether it was true that our Santa Claus doesn’t look quite like the American… so then we talked for a while about Tomten and the tradition of celebrating Christmas on Christmas Eve rather than on Christmas Day. I was happy to have a computer to use to show pictures and talk about different details and finally I shared what TV-show most families watch on Christmas Eve. Kalle Ankas julafton… Donald Duck! Today I visited a few new classrooms where I haven’t been before. It was very interesting to again note that kids and adults do not ask the same kind of questions. Generally speaking I would say that kids like to know, for real, what it might be like to live in Sweden. They ask personal questions formed from their own point of view and seem happy to get an answer. Is this your first time in the US? For how long will you be here? Have you visited other states in the USA? When does school start in Sweden? How many school days are there? What kind of grades do you use in Sweden? What American singer would be THE most famous, Elvis or Michael Jackson? What cellphones brands do you have in Sweden? What clothes do you wear in Sweden? How far from China is Sweden? What does the Swedish national anthem sound like? What do the houses look like in Sweden? What music do you listen to in Sweden? What famous Americans are popular in Sweden? Are there IKEA:s all over Sweden? What sports do you do in Sweden? Do you eat the same food as we do? What kind of farms are there in Sweden? What do you grow in Sweden? 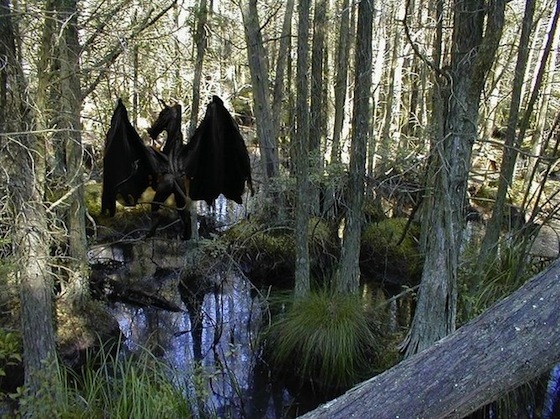 What does the trees look like in Sweden? Does The Swedish House Mafia really come from Sweden? Kids tend to want to know about things out of school more than the teachers do.Teachers tend to ask about school related topics. I find that most interesting. Another thing I find interesting is the way no lesson where I have been involved has been at all like the other. I have asked the kids what they wanted to know and that has lead to lessons that differed very much from each other. Being in a situation where I can choose what to share or not from what the students like to know, has thus been just like I prefer to work, i.e in a group oriented manner. I will miss this school and all the kids next week when I go home. They are all very open and welcoming and I have a great time learning more about this NJ school.